John was born in Sydney in 1959, where he developed his love of the sea and boating with family holidays to the beach, and weekend trips to favourite spots on Sydney’s beautiful waterways. John’s artwork has been described as “feeling” or “mood” art; it has a way of touching people and evoking feelings and memories from within themselves. 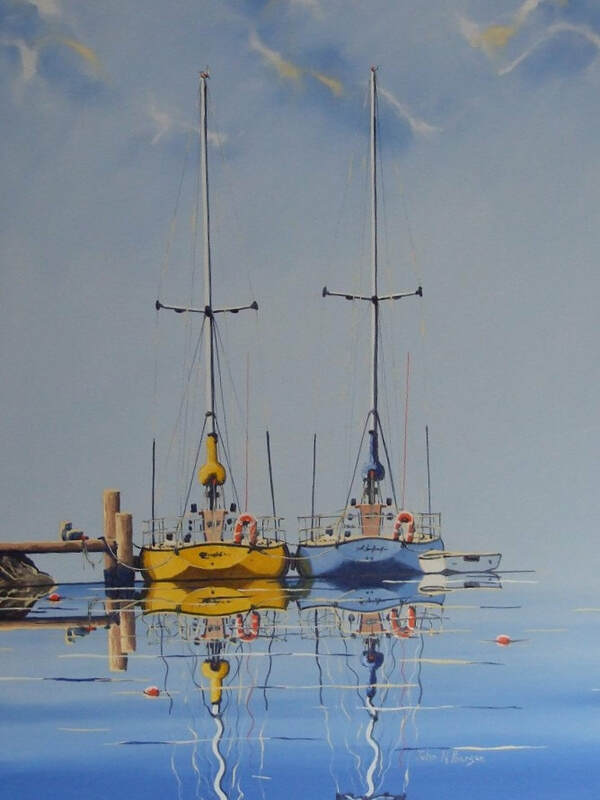 This “connecting” is achieved by John’s careful control of subject and composition, colour and its’ vibration, and with thoughtful design and harmony. John’s work is being collected and commissioned Australia-wide, and an ever growing number of overseas visitors are taking home his beautiful paintings. 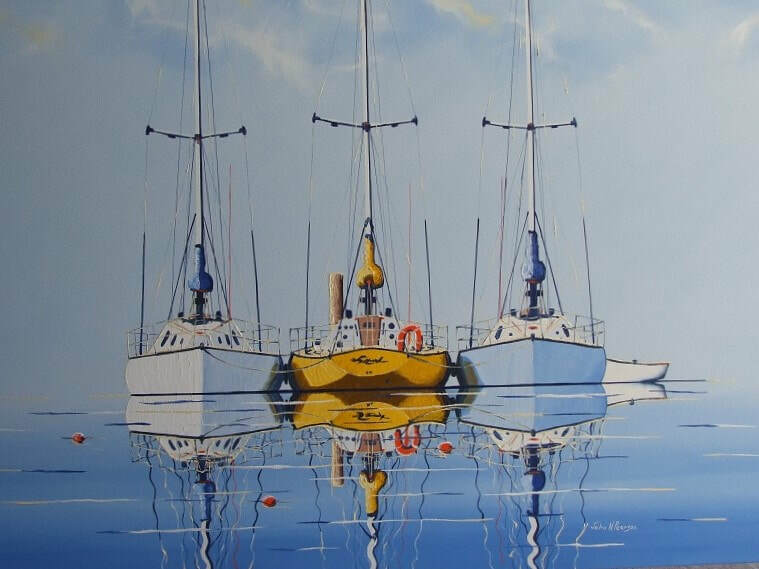 John and his artwork have been featured on television and various newspapers and life style magazines. He has a growing list of awards, from which he cherishes most the “People’s Choice” awards, as this is a true sign of appreciation from the very people John loves to paint for. 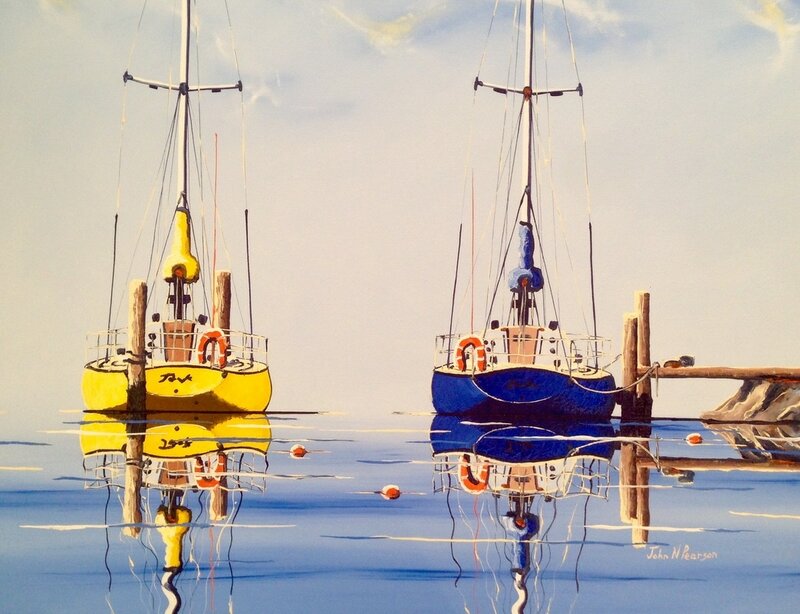 He is a member of the International Society of Marine Painters and Australian Society of Marine Artists, where his work is admired at various National Exhibitions. His work is exhibited in select galleries across Australia and overseas.